Park Sands is located smack dab in the middle of Parksville, BC on the Pacific Ocean’s Georgia Strait. The region calls itself ‘Oceanside’ for a good reason. The beaches are long and sandy and retain the heat of the sun so when the tide rises it warms the water nicely. 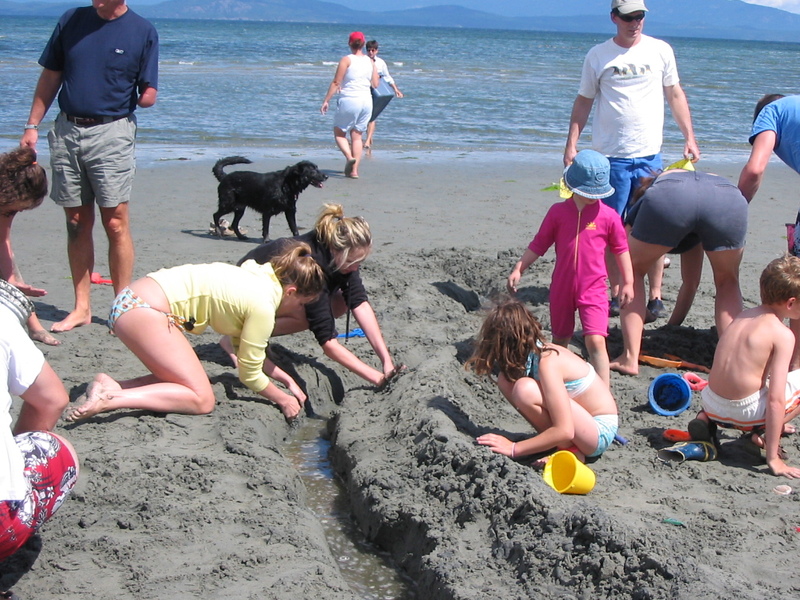 If you ever want to take children to the beach, then come on over for world class sandcastle making and wading.Park Sands campsite has a prime location with a community park right next door making it ideal for families. 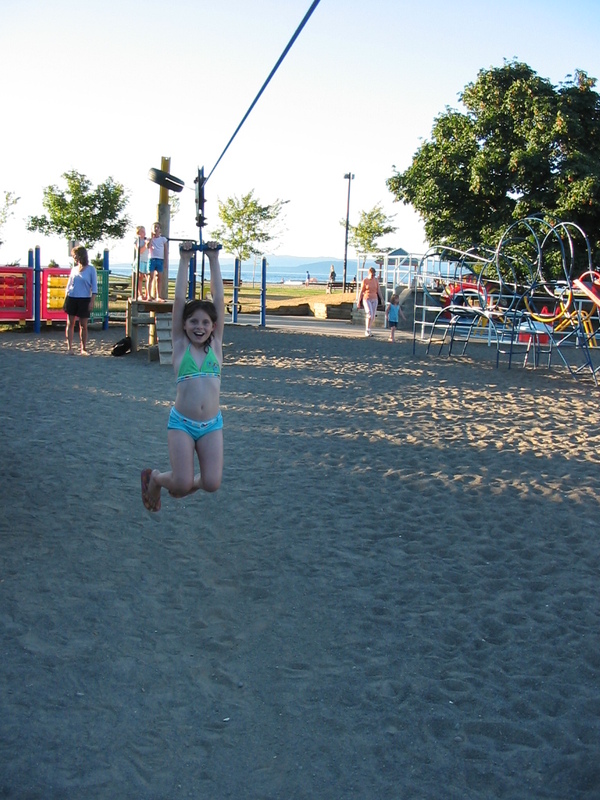 The park amenities include: a water playground, bike paths, tennis courts, a skate board park and a baseball diamond. Park Sands is also right off Parksville’s main drag so you can walk to Dairy Queen or to pick up some items you may have forgotten to pack. Don’t let the closeness to town scare you off though; since the campsite is down a slope we didn’t even notice any traffic sounds. While we were there, the Canadian Open Sand Sculpting Contest entries were on display on the other side of the campground. While our family sandcastle was bigger, we have to admit that theirs scored higher for complexity and beauty. Of course the problem with natural gems is that they don’t remain natural forever. We stayed here in 2006 and at the time a time-share condo resort was being built next to the property. As of Jan 2015, Park Sands’ website map showed the facilities looking the same so I’m assuming this review is still accurate. Get here soon though as someday it may become a “phase 2” condo or something. My thoughts in the campgrounds. We camped with two other families and stayed in the close-together sites at the back: 8, 13 and 14. That worked out well for our needs. We weren’t planning this blog back then so I didn’t take notes on all the other sites but recall the rest of the campground being the typical private set-up of a street of RV sites. Those sites line the way down to the beach. From the back end of the campground, it was a long haul to the beach. And at low tide the beach itself doubled the walking distance to the water. If you have a wagon full of beach toys and tots, then obviously pick a site closer to the water. The campground is paved and serviced. Our sites at the back had more room for lawn chairs. Location, location, location: warm beach for playing in the sand, especially with young kids. All the teenagers and grown-up we were with liked it just as much. I cannot recall anything negative other than we were concerned about how things may change once the condos are finished being built. We did look at the time-share presentation center and they seamed like a great place to stay too, what with sharing the same beach and all. Back home in Surrey, we have neighbors who stay there occasionally and say its very nice. The sites not at the back are close together RV parking style, so very limited privacy. The beach with its great sandcastles & wading, is why you’ll want to come here. Utilize the park next door. 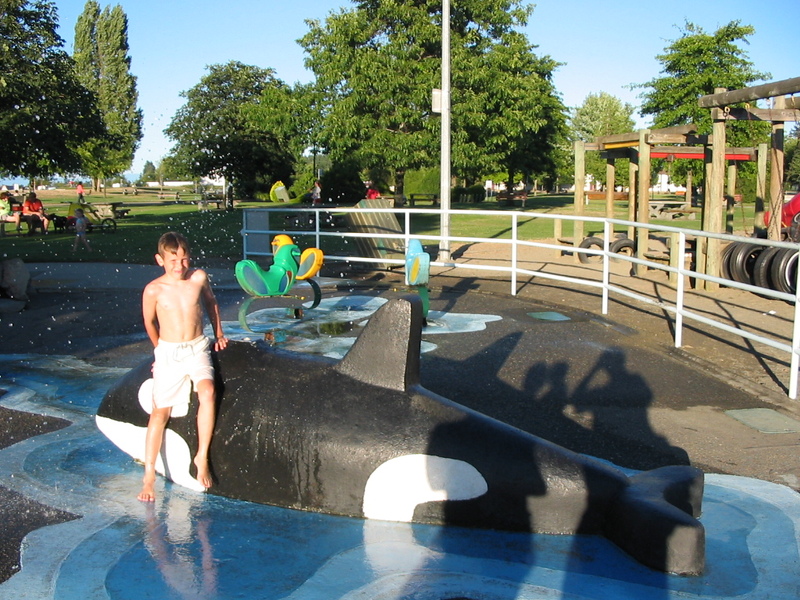 Explore the many nearby parks in Parksville. 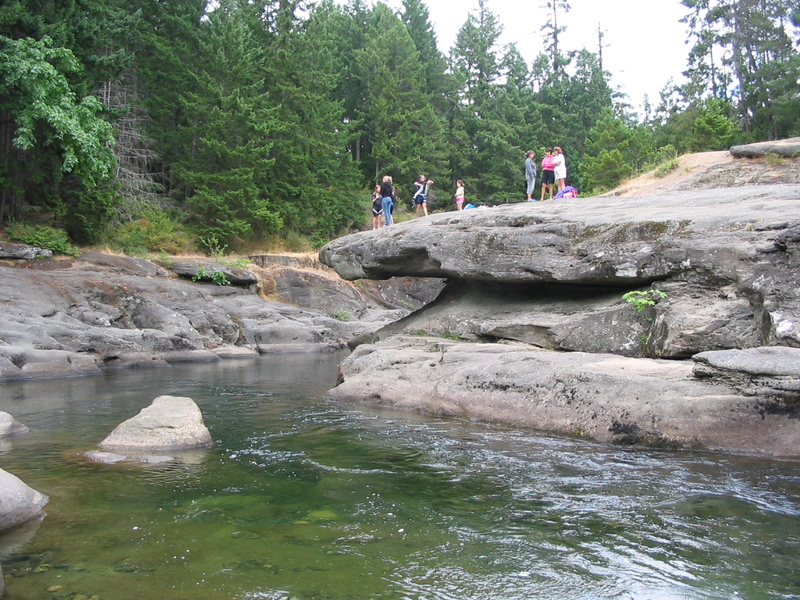 Read below about our excursion to ‘cliff dive’ at Englishman River Falls Provincial park. We camped here during a family reunion in Parksville. Three of the families, those with children and RV’s, camped while the majority of the gang stayed at nearby hotels and houses. Because of its location and amenities, everyone hung out at Park Sands to relax at the beach during the day and around a campfire at night. Regardless of age, everyone seamed to have a genuinely good time. When the tide goes out, there is endless sand. Plenty of room for us to build an absolutely massive sandcastle. It feels like you can walk half way to the mainland before going over your head it the water, but keep an eye on the young ones as the drop is severe once it comes. We also had a few great boccie games with the sand and puddles making things interesting. Kids, watch for sand dollars in those puddles. The park next door attracted us as well. 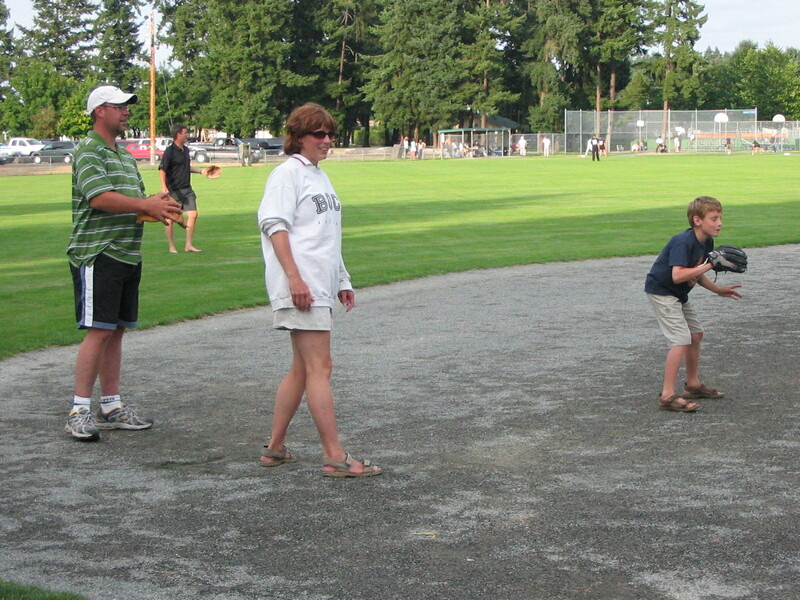 We played a family friendly baseball game on the diamond one night. Those of us with kids spent a fair bit of time at the playground and just riding bikes around. One day we all drove 25 minutes to Englishman River Provincial Park. 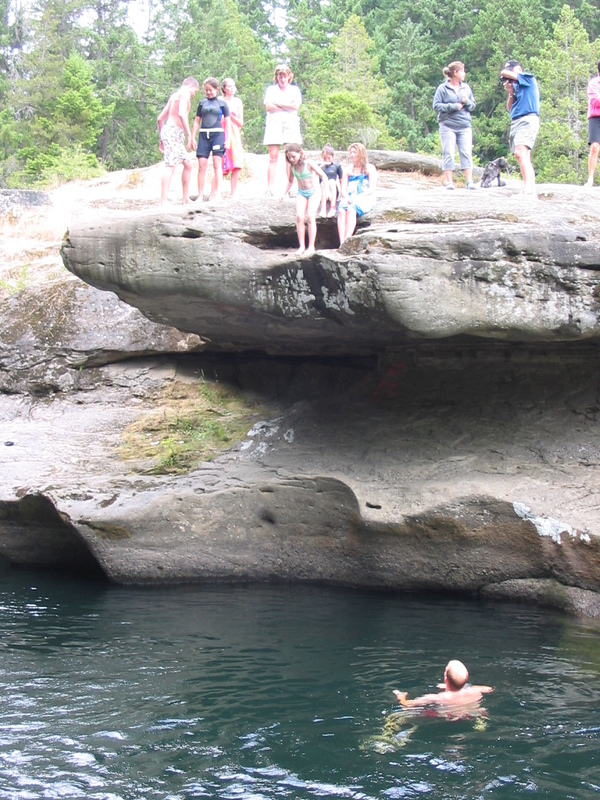 We hiked in from the day lot to a swimming hole with cliffs small enough for us all to jump in from but high enough to make it fun and to test our bravery. 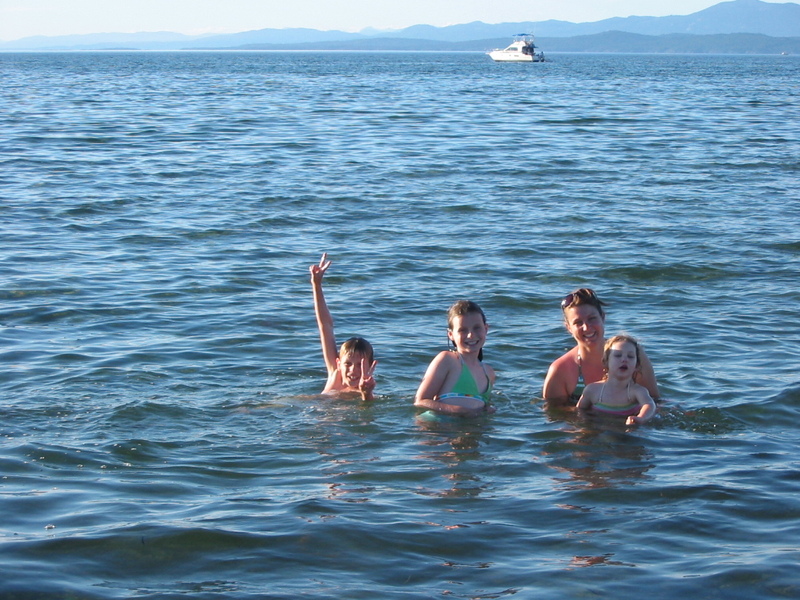 Everyone had a blast doing that, although the river was a bit colder than the bathtub-like warmth of Parksville’s beach. We have never actually camped at Englishman River Falls, so would appreciate reader input on which of those sites are particularly good. 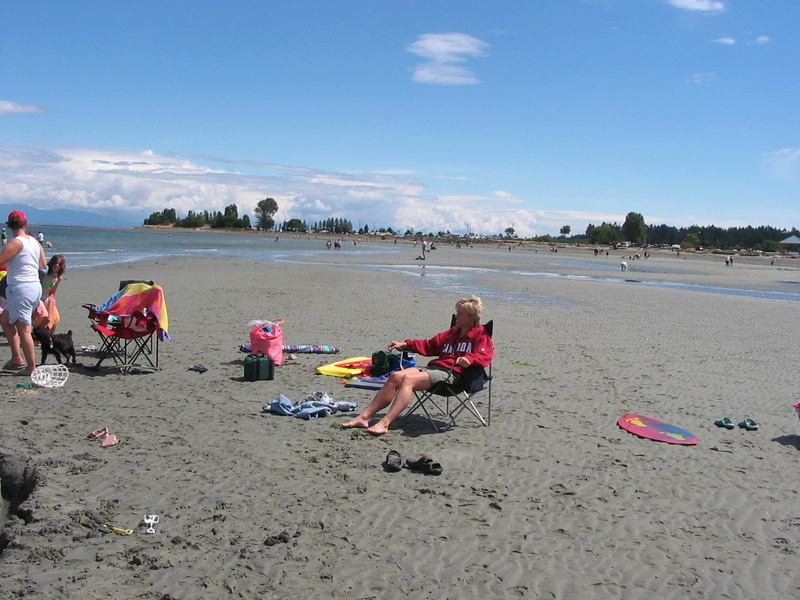 We have stayed at the very popular Rathtrevor Beach nearby so watch for a future blog about it’s campsites. At night, we sat in our campsites and talked around the fire. 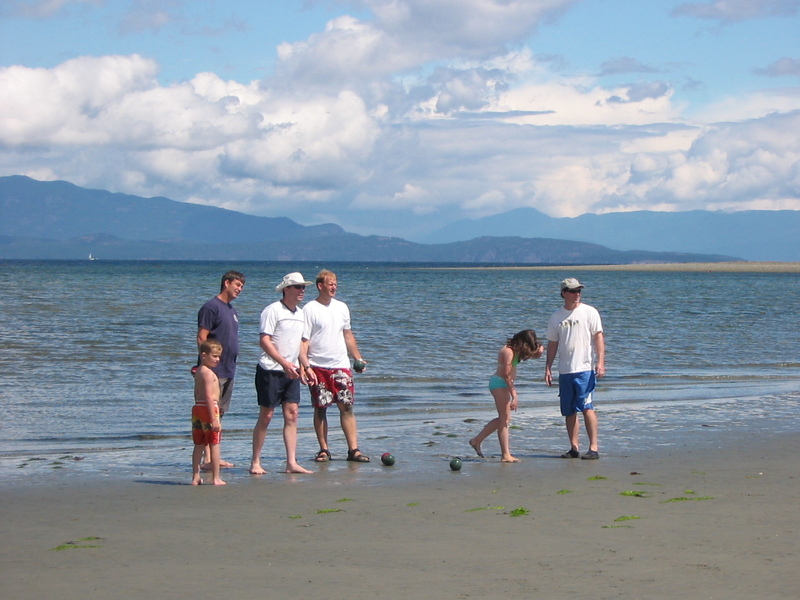 There is no doubt that camping provides the best opportunities to bond as a family. No electronics to distract people, although our visit was pre-SmartPhones back in 2006, and the park’s website does advertise free WiFi now. Not everyone in the family enjoys sleeping in a trailer or tent though, so camping right in town was great for the hotelers. On a subsequent trip to the area, some of us played MorningStar which is a beautiful golf course situated deep in a forest setting. Very peaceful and quiet. The only eagle spotted was a bald one nesting on one of the holes, but that was more impressive anyway. I would recommend Morningstar, but hear there are other nice golf courses in the area as well. 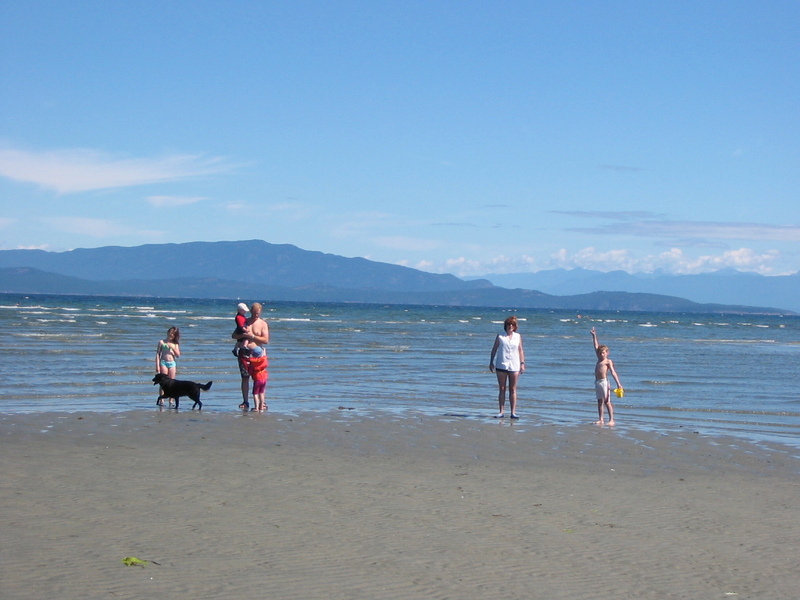 If you are looking for a family friendly trip with of all ages I would recommend Parksville and if you want to be walking distance to the attractions in town then Park Sands Beach Resort is a good choice.